Antonious grew up on the streets, dealing drugs and evantually ended up in jail, where he met a man who changed his life forever by encouraging him through his example. Antonious got his GED and met his future wife who encouraged him to go to church. Antonious went to feed his curiousity, but he found it difficult to understand the praise and worship of God that went on around him. He silently slipped to the door and was approached by the pastor. The pastor hugged him and he could not let go. The pastor told him that God had saved Antonious from a bullet and that He wanted Antonious to accept Jesus as his savior. Antonius felt God's presence so strongly he started crying and admitted he needed Jesus. 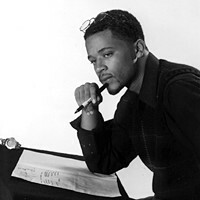 Antonious began to write Christian Rap after praying and studying the Bible with his wife. Now, Antonious seeks to bring his music to the mainstream to impact people for Christ. Reviewers on Amazon.com rave over the great beats and solid, message-filled lyrics on this album, and recommend it to all hip-hop fans. Fan favorites on this 1999 album include "Keep Runnin'", "You Don't Have To Cry," "It's Time," and "Pages of Life." This Chapter in My Life: Popular songs on this disc include "Throwed" "Freestyle Crazy" and "Don't Blink Too Fast." 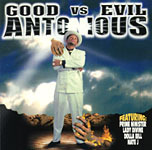 Fury: Fury, Antonious' latest release, includes greatest hits from his previous albums as well as five new bonus tracts.